In the publicity for his recent album Seeing Things, Kevin Doherty credits Seamus Heaney as a source of inspiration for his work. But his observant and soulful lyrics also draw on many other influences, including the work of John McAuliffe, whose poems tell stories and find images for ‘soul-making’ in the everyday world of sheds, swimming pools, concert halls, parks, ferry ports, galleries, protest marches, cinemas, and street corners. There’s a well-known maxim that says all art aspires to the condition of music. If true, then poetry surely comes very close to meeting it. Indeed, Irish poets and musicians have always cast a particular spell on each other. 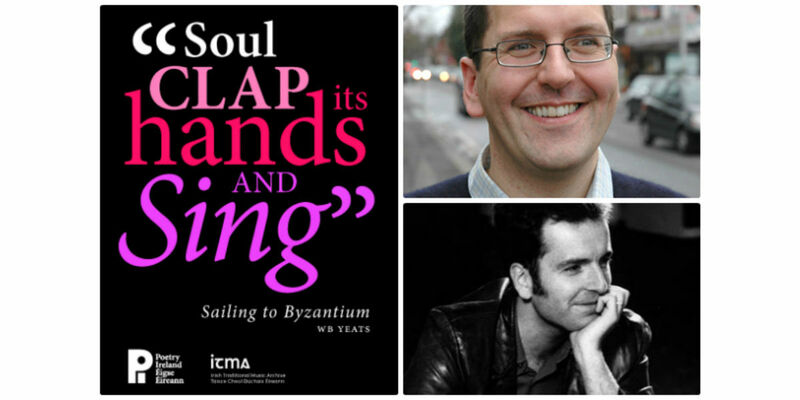 'Soul Clap its Hands and Sing,' a new series of music and poetry events presented by Poetry Ireland in partnership with the Irish Traditional Music Archive, will offer audiences a chance to enjoy some of the finest artists in both forms as they weave in and out of each other's work.